It wasn’t the easiest path to the NFL for Julian Edelman. One of his former college teachers wrote a letter to him to apologize for doubting his NFL dreams. Few people besides Julian Edelman himself thought that he was going to be a star wide receiver for the New England Patriots back in the day. Back in 2006 when he was playing junior college ball at College of San Mateo, Edelman’s English professor doubt that the 5-foot-10 dual-threat quarterback was going to play on Sundays. After leaving San Mateo, Edelman would transfer to the losingest Division I college football program in history in the Kent State Golden Flashes. 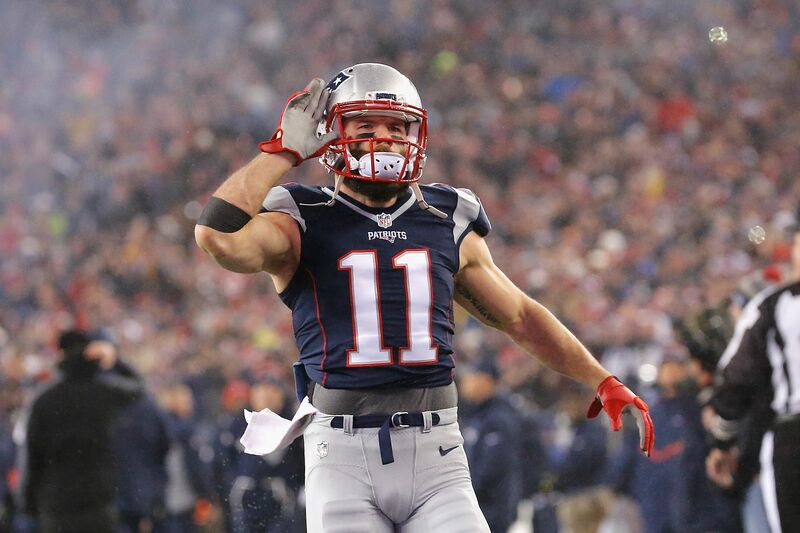 While he didn’t lead Kent State football to a bowl game in three years with the Golden Flashes, Edelman would do enough to impress New England Patriots head coach Bill Belichick to draft him in the seventh round of the 2009 NFL Draft. Eight years later, Edelman is the standout slot receiver and a two-time Super Bowl Champion with the Patriots. He has quickly become Tom Brady’s favorite wide receiver in this New England offense. This summer, Edelman’s former English professor would finally send him a letter to apologize for questioning his NFL dreams. The English professor starts out by calling Edelman “Jules”, which is funny. This was a spring semester class at College of San Mateo and Edelman was probably on his way out of town to join a Division I program like Kent State. In his mind, he had to have moved on to bigger and better things. The teacher essentially told Edelman to have a realistic dream because “going to the league” didn’t seem like that was happening at the time. Sure, how many 5-foot-10 quarterbacks starred in the NFL? Briefly Doug Flutie and that’s about it. Russell Wilson and Drew Brees are definitely taller than 5-foot-10. Apparently all it took was a ton of heart, a position change and a love for the game of football for Edelman to play in the NFL. To be an important piece for a two-time Super Bowl Championship team after going the junior college route in school is proof that if you’re motivated enough, you can really do anything.